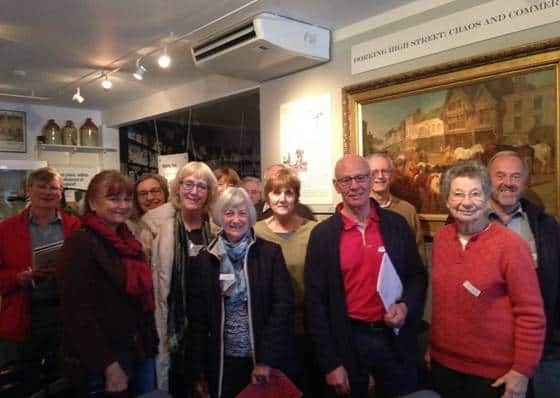 Dorking Museum welcomes groups of all ages and our volunteers will be happy to help you make the most of your visit. Priced at £2.00 per person – the group minimum is 15 people. We can also offer private viewings at a cost of £30.00 for the visit. Please fill in the online form here. Please note that this is not a confirmed booking until our group booking coordinator has been in touch with you. If you would like to combine a Museum visit with a visit to the South Street caves – please e mail us at the address below. This is subject to availability.